For now you can use PayPal (which also gives you the option to just use credit card). 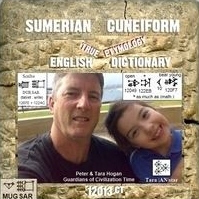 So email Pete at sumeriancuneiformdictionary@gmail.com if you would like to make an offer on any of the Specials or something else on the Mugsar. Once we agree on the item and amount Pete will send you an email that has the PayPal Buy Now link button for the agreed amount. Alternatively, just click on the multi-purpose "Mugsar Immortal Benefactor Variable Amount" PayPal Buy Now button below - enter the amount you can spare right now to help us achieve the Mugsar's objectives and follow the prompts, and Pete will personally pick something for you to sponsor. You could start with something low value, say $10, and if you are happy with the process, and progress we are making with your help, add something with a higher, more prominent value, later. And don't forget, once you are on the MIBR if you get a friend to sponsor something, you get a whopping 80% Finder's Commission for your efforts to expand the Mugsar supporter base around the world. We will also agree on the wording of Pete's personal Thank You - the "Virtual Tablet In-Scribe" (see Immortalizer) to make sure it says something special to capture who you / your family are. Then we also update the MIBR with the details you would like your descendants (and other half human hybrid robots!) to see in 1000+ years.